Hyper Japan is the UK’s biggest convention of J-culture and anime held in the UK. First staged in 2010, Hyper Japan is designed to promote all aspects of Japanese culture, encompassing food, traditional culture, music, fashion, gaming, manga, anime and cosplay. Hyper Japan regularly features special music guests from Japan, with past events hosting performances from Dempagumi.Inc, Moso Calibration, Charisma.com, The Tomboys, Toriena, TOKYO GIRLS’ STYLE,Tomoyasu Hotei and REOL, LONDON BLUE, Taketeru Sunamori and Tokyo Flavor among others. 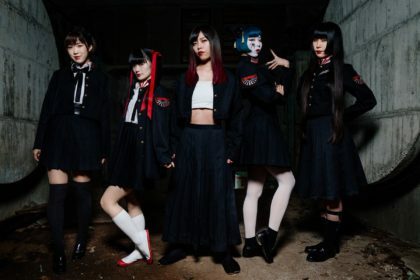 For this year’s winter event, Hyper Japan will be host to some very special guests, including punk outfit MUTANT MONSTER, rock outfit Xmas Eileen, idol performance outfit BANZAI JAPAN, Japanese soprano (and former star of the world famous Takarazuka Revue) Nao Masaoka and enka star Akari Mochizuki. 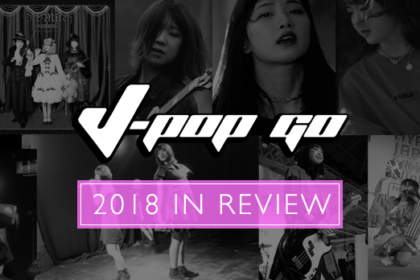 Here’s J-Pop Go’s preview of the musical treats ahead. 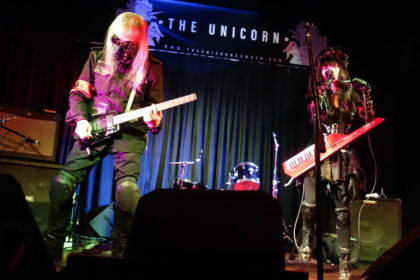 The trio made their first overseas performance at the Japan Expo in 2016, but also found time to perform in the UK the same year with shows in Birmingham, Cardiff, Bristol, London, and Brighton. They also put in an appearance at Hyper Japan’s Christmas Market in 2017 (see the J-Pop Go interview). BANZAI JAPAN is an idol outfit consisting of members draw from the many prefectures of Japan. The theme of these 14 members is “Share the world the appeal and power of Japan”. 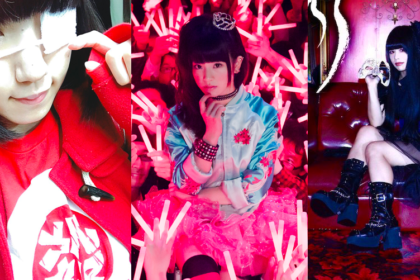 They’ve previously performed at Japan Expo (where they won the Tokyo Candoll 2018 event) and are making their UK debut at Hyper Japan. Formed in 2014, rock outfit Xmas Eileen gained a following amongst rock fans performing at music festivals like SUMMER SONIC. The group consists of twin vocalists, a performer, guitarist, drums, bass, and a DJ, all named “No name”. Their first album, ONLY THE BEGINNING was released in August 2016. Four of the group’s seven members will be coming over – the twin vocalists, the performer, and the DJ. Nao Masaoka joined the Takarazuka Revue in 1991. As part of the Flower Troupe, she quickly became established as one of the leading performers of male roles thanks to her singing, dancing and acting prowess. She remained with the Revue until 2004, during which time she appeared in many of its classic productions. She has since had an active and varied career as a singing coach, actress, presenter and personality. In 2016, she appeared at Hyper Japan to perform a selection of Takarazuka songs from famous shows such as The Rose of Versailles and Elisabeth. This year, not only will she be singing more Takarazuka songs, she’ll also be sharing some of her memorable experiences as a Takarazuka star! 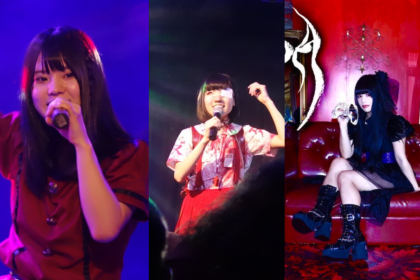 With a wide range of singing styles, Hyper Japan regular Akari Mochizuki is a surprising live performer. She began singing Enka when she was three, went on to study drama and music in the UK and became a professional singer in 2009 (see J-Pop Go’s 2012 interview). 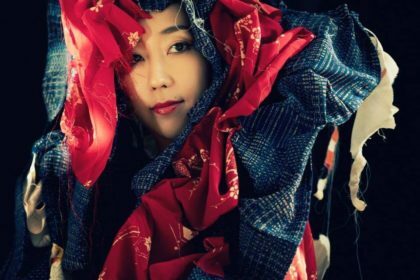 Akari has performed at events such as WOMAD and the Japan Matsuri and enjoys presenting audiences with a set blending in Japanese blues, Enka and pop tunes that have a 70s J-Pop appeal, such as her popular tune ‘Hitori De Nadeshiko’. If that’s not enough, then you can also catch the ever-popular Hibiki Ichikawa and DJ TAKAKI in action with their incredible fusion of Japanese Tsugaru Shamisen and DJing. Plus, Hatsune Miku fans are also in for a treat. Come along to D05 in AKIHABARA zone to see Hatsune Miku and get your picture taken together with you favourite star. Hyper Japan runs from 16th – 18th November at Olympia, London.